The wheels are turning on Marvel Studios’ first offering for Disney+. According to The Hollywood Reporter, the studio has recruited Michael Waldron to spearhead their new Loki series headlined by everyone’s favorite god of mischief. Tom Hiddleston will reprise his iconic role from the MCU films in the upcoming show. Waldron will pen the script for Loki’s pilot episode and executive produce the series. As a writer and producer, Waldron has worked on Adult Swim’s Rick and Morty. He has also collaborated with Rick and Morty co-creator Dan Harmon on a few other projects, including Community and HarmonQuest. Waldron also garnered attention for a blacklisted spec script titled The Worst Guy in the World (and the Girl Who Came to Kill Him). That film is currently in development at QuiBi with Greg Silverman producing. Marvel declined to comment on Waldron’s hiring. However, THR shared a few details about what we can expect from the new series. Apparently, Hiddleston’s Loki will assume the role of a more mischievous Doctor Who and exact his dubious influence on various events in human history. Based on this, it sounds like Loki primarily takes place in Midgard (Earth). But hopefully, we’ll get to see him travel to other realms as well. Of course, this isn’t the only show that Marvel is developing for Disney’s streaming service. Captain Marvel co-screenwriter Jac Schaeffer was recently tapped to develop a Vision and Scarlet Witch series starring Paul Bettany and Elizabeth Olsen. Empire scribe Malcolm Spellman has also reportedly been hired to write a team-up vehicle for Anthony Mackie’s Falcon and Sebastian Stan’s Winter Soldier. Now that Michael Waldron is onboard as showrunner, are you more or less excited for Marvel’s Loki series? Give us your impressions in the comment section below! 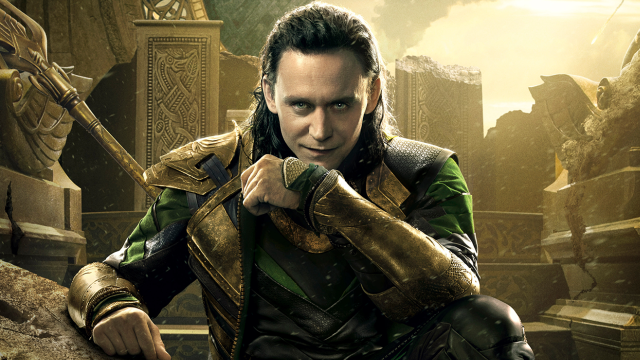 The post Marvel’s Loki Series Gains Rick & Morty Writer as Showrunner appeared first on ComingSoon.net.